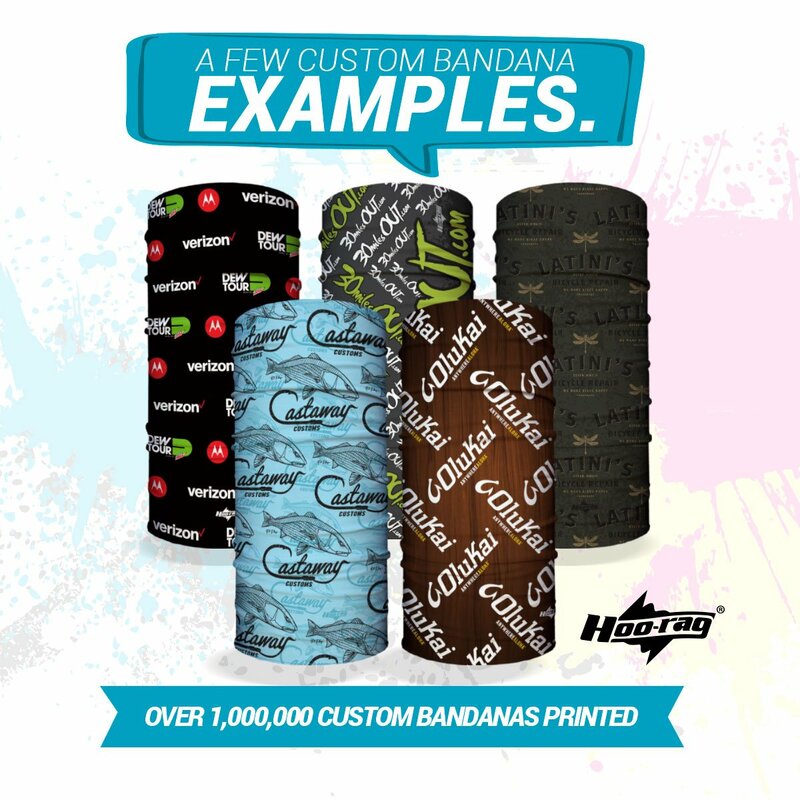 Hoo-rags are the perfect multi-purpose promotional bandana for your organization or business! 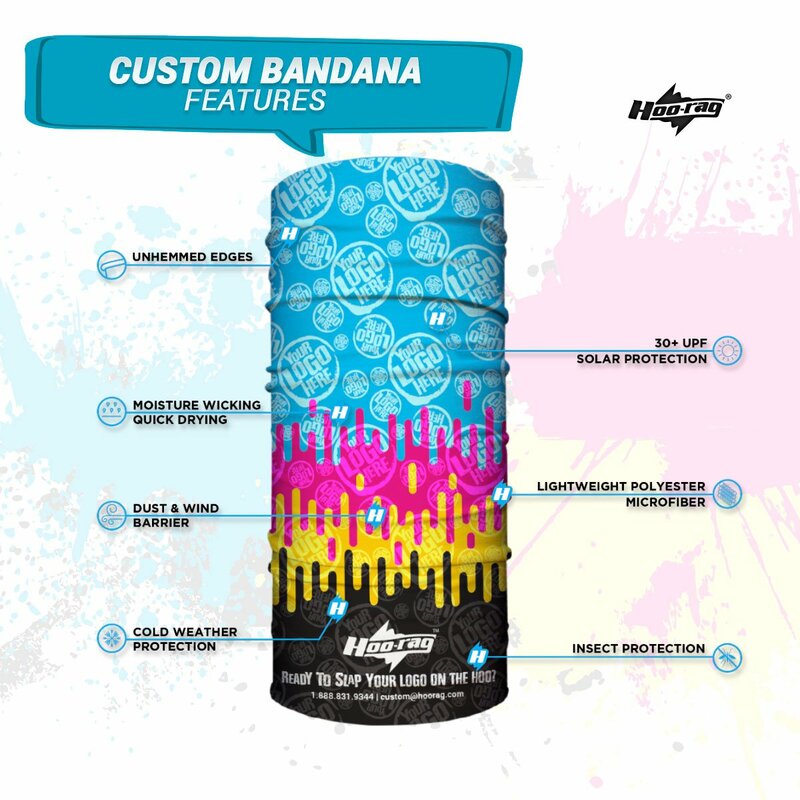 We make it easy for you to put your logo on our bandana. Minimum order is just 24 units and pricing can be as low as $2.00 each. Design is free and setup is free for designs 4 colors or less. The bandanas are made of 100% polyester microfiber and perfect for both men & women. Or for only $2.00 we’ll send you out a complete package of all of our materials. Click add to cart below to order. Need more info? Call our customs team now at (888)831-9344! Thanks! I was really impressed working with your company. Great service, great design work. Two thumbs up from us. My experience with Hoo-rag was excellent! You were very accommodating and always made me feel like your most important customer; even though, I am sure I was not. 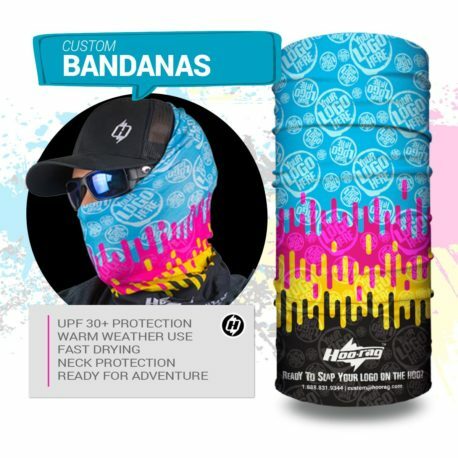 So far the people who’ve seen our Hoo-rag, love the design, love the colors, love the fabric! Thanks again! White’s tackle has been having Hoo-rag manufacture our sun protection bandanas with our own graphics for 4 years now. Easy to work with, quality printing, awesome company to work with! 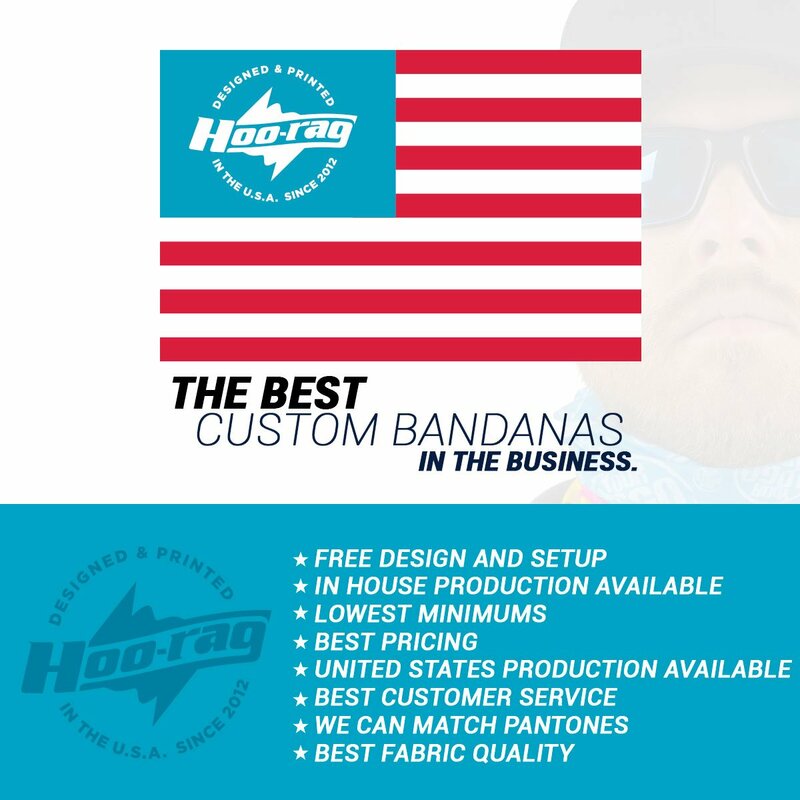 My experience with Hoo-rag was super easy from start to finish. I will continue to use them for future orders.